Instagram is a terrific tool to connect bands and artists with their fans. It's the direct line in and the lens through which the fan can experience the band in ways other than through sound. It creates a visual and allows for a keyhole view. Exciting! But while IG can be used for good, some artists and bands make many mistakes when it comes to the social media photo-sharing service. The good news is that those errors are not crippling, and they're way easy to fix. Here are seven common Instagram gaffes that are remedied with a couple of minor changes to habits or routine. You want to connect with your fans and hopefully have your posts go viral among them and others casually browsing. That happens with hashtags. 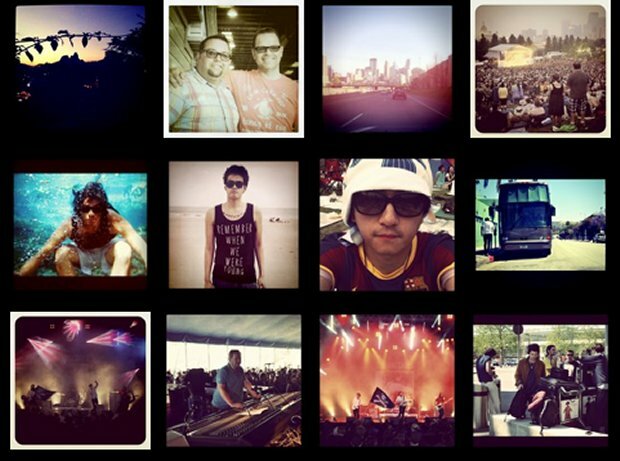 Someone looking for "bands on tour" could stumble on your band accidentally, if you hashtag a photo with "#BandsOnTour." That person could become one of your newest fans! No one talks in hashtags, so try not to overdo it. If you go nuts with the hashtags, especially those with #NoRealMeaning or that aren't #sticky, that can be #annoying and the quality hashtags can be missed. You're not Bros Being Basic, whose thing is silly #hashtaggery! Try and post IG pics that have some value and that fans can only see because they're following you. Make the follow worth it for them by sharing snaps of your tour vehicle, backstage, meet and greets, stage shots, whatever! Give 'em something that keeps them coming back and they can't see everywhere else. This is an extension of the above. A fan follows your IG feed since it's their special all-access pass into your world. Make it worth it for them. Make them feel special, and share your life as an artist with them. They care. A photo without a setup or hashtag of value will likely be forgotten. The value of social media doesn't reside in how many followers you've accumulated, your post volume, or your frequency of follows. The value comes from how active your followers are and how they regram or share your stuff. Give them cool stuff to share, and that will go viral. Again, context is everything. Call out fans, fellow bands, bandmates, whatever. But if you post a photo of a bunch of people without giving the follower some idea of who the hell is in the photo, it's an opportunity lost. A snap of your girlfriend kissing you? Big deal! A snap of you off tour, doing something on a Sunday, like baking cookies with your significant other? Those are connectors, and they're crucial.